Here’s a funky little newborn hat I made for a new little baby boy. It is completely flat, no decreases or anything. So, it was super easy. There is just a touch of a cable that I made up, it didn’t really look the way I had imagined it would, but I think it still works. The square shape looks like little ears when on a baby. Just a funky little detail. This was my first ever project with pom poms! If you have the strange pom pom maker contraption, this how-to make pom pom’s video was so helpful! It really all started when I decided that it would be fun to get really technical with my knitting and take the Knitting Guild Masters correspondence course. 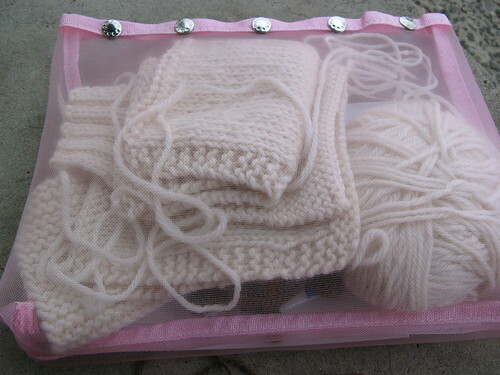 Around the same time, I decided to learn continental knitting. Anyone who has tried to cross over to continental knows that purling can be a challenge. Which brings me back to TKGA and why I have become a little obsessed. TKGA has made me analyze each of my stitches and I found that my purl stitches are slightly looser than my knit stitches. What was once a perfectly fine stockinette swatch is now stripped with rows of slightly loose stitches that pop out ever so slightly. Um, seriously, did I mention the neurosis? That’s all I can see now! I’ve tried modifying my hold to get a better tension on my purl stitches, but I finally gave up and went back to throwing my yarn (English style) for flat knits that require a lot of purling simply because I am obsessed with perfect purls now. Thanks a lot TKGA! 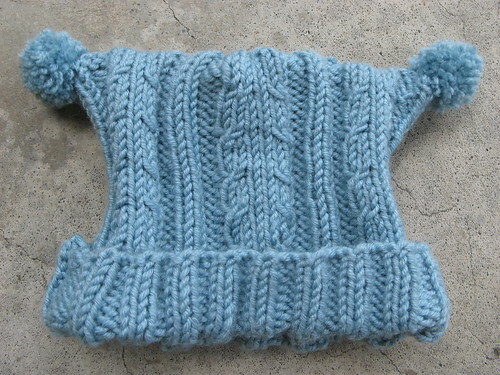 I have one more thing to try that just might save continental knitting for me, combination knitting. Have you heard of this? 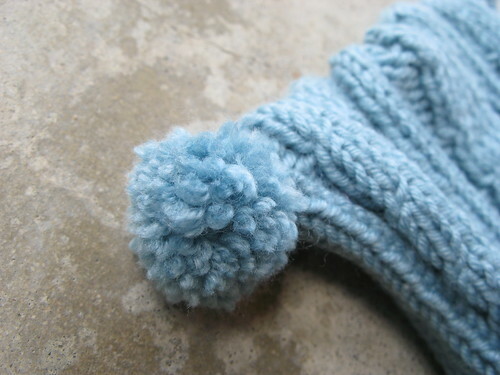 The purl stitch is done as an exact opposite of a knit stitch, and it results in the stitch switching orientation (instead of the right leg in front, the right leg is in back). I can totally live with that if it makes purling as easy as it looks in the videos. And it will make the tension much more even because it so much like the knit stitch. Just what the doctor ordered! I will let you know how it goes.